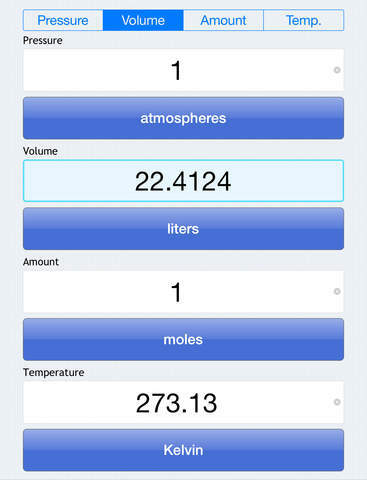 PVnRT, the Ideal Gas Law Calculator allows you to calculate your choice of the pressure, volume, amount of substance, or the temperature under the ideal gas approximation. 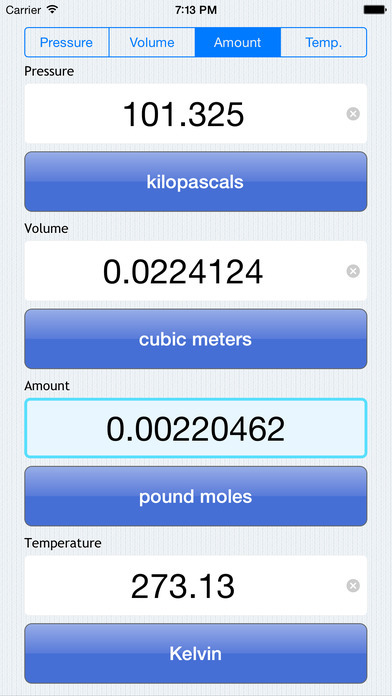 Simply pick the calculation you want to perform, enter your values, and pick the units. Built-in unit converter makes it a snap to calculate pressure, volume, amount of substance, or the temperature in any combination of units. 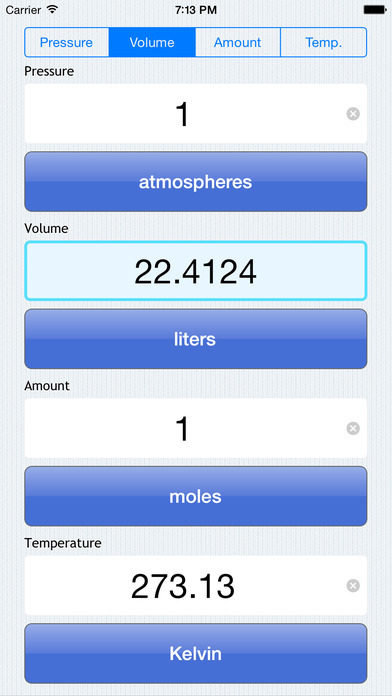 Pressure units include atm, bars, pascals, kPa, and many more. Volume units include cubic feet, cubic meters, liters, and much more. 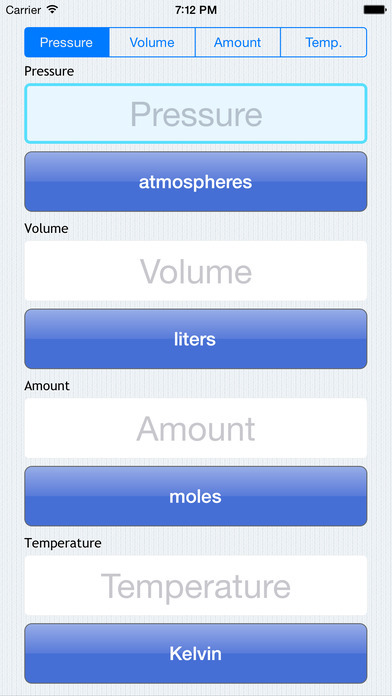 Amounts of substance can be specified in moles, kilomoles, pound moles, and more. Temperature units include Celsius, Fahrenheit, and Kelvin. PVnRT is the perfect homework or lab companion.